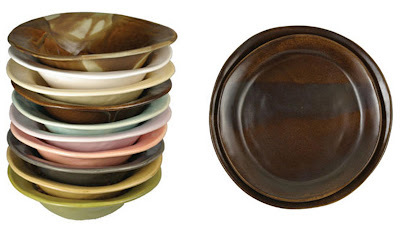 Who knew that when I set out to find lead-free dishes, it would take up half my day?! To be honest, I'm pretty frustrated with what little I found out there. 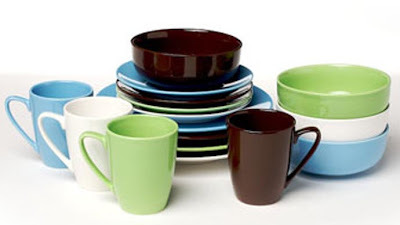 I've been searching for hours and cannot believe more companies don't offer lead-free dishware. However, the few manufacturers I did find, have some pretty cool dishes and they are all 100% lead free. 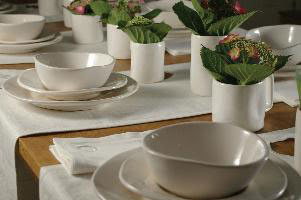 Above: rimmed bowl from Alex Marshall Studios; dinnerware plates in chocolate brown; a lovely table setting complete with their white dinnerware and linens. aqua dinnerware from Alex Marshall Studios - love the color and the organic, natural shapes of her dishes. Alex Marshall square dinner set in buttercream. For more great product from Alex Marshall, click here. sengWare 36 oz. 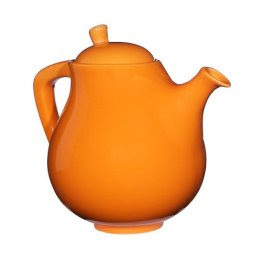 Teapot with Infuser - Tangerina - so cute and cheerful :) Available in other colors through Target online. 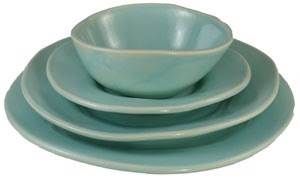 sengware 16 Piece Classic Round Dish Set - available in more colors, but I like the rich chocolate brown paired with the soft blue and green. This is Loraine (Gina's mom). What a beautiful blog. Very polished and modern. Fantastic. What can I do to help you promote it? Thank you so much for this post. 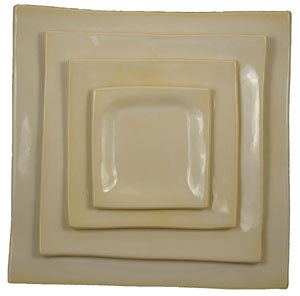 I really like Alex Marshall Studios dishes that you listed and am going to start saving up for them. My Ikea ones don't have much longer before they are all cracked or chipped. Thank you again!! !